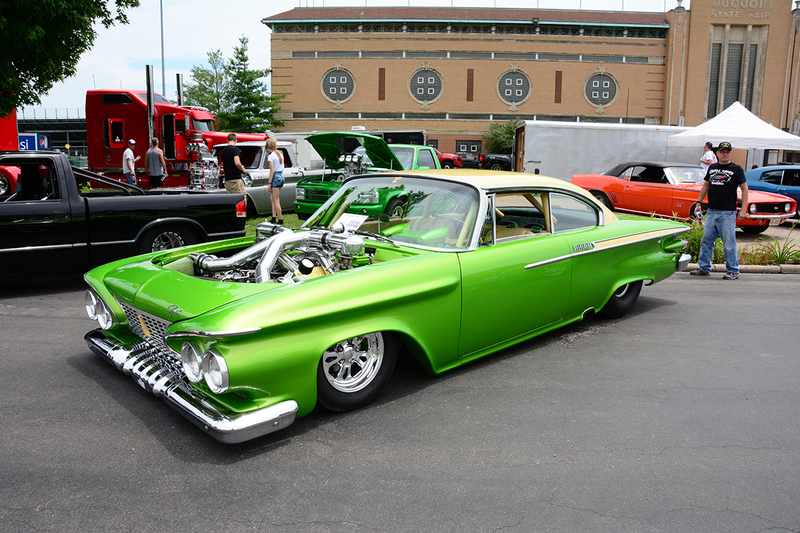 The 1961 Plymouth Belvedere is not a car that you normally see turned into a Pro Street beast with more than 700hp. Nor is it a car that you would ever think would be out playing in the snow. But alas, here we are. 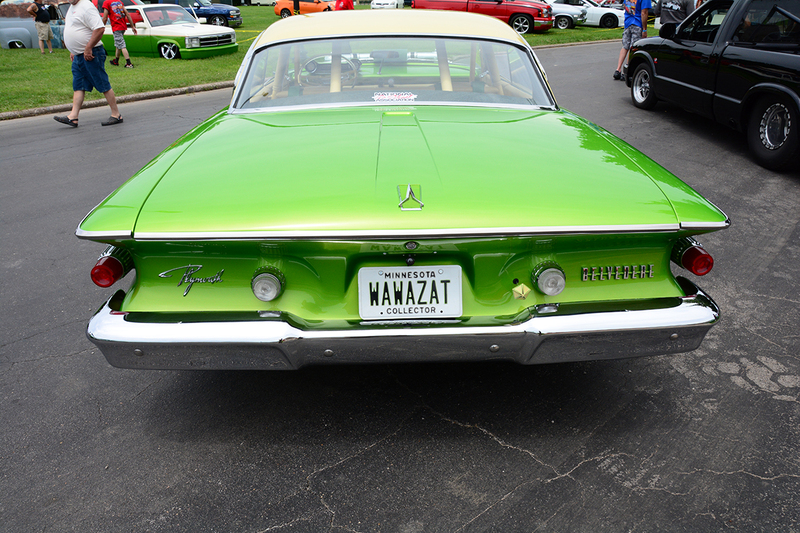 This beautiful car belongs to Tony Netzel and it has an interesting story behind it. Tony apparently bought the car from a junkyard back in 1993 for $300. But as you can imagine, the car has had quite a few upgrades over the years and in no way did it look like this when Tony first got it. Over the last 24 years, Tony has added a few things here and there when he could afford it. It was also very difficult to find parts for the car because it is so uncommon. But Tony kept his eye on the prize and even though it took him roughly two decades, the end result is the masterpiece you see before you today. While it technically is a Pro Street car that can put the hurt on a drag strip, Tony wanted the car to essentially be a daily driver. Tony managed to pull this off by making sure that his engine was just as reliable as it is powerful. Under the hood sits a 440 cubic inch block that has been bored out to a 496, which is a big motor that would provide plenty of power by itself. However, Tony also fitted the car with twin 64mm turbos that run barely any boost, pushing the total power output up over 700hp running on pump gas. Needless to say, this engine is capable of producing close to double the horsepower what it’s putting out now if he decided to turn up the boost and run it on race gas. But that’s not the point of the car. Tony just wanted something cool that he could drive around town and not worry about the thing blowing up or breaking down. To help with some of the extra weight these old cars are known to have, Tony had the back half of the car fitted with a tube chassis. It also sits on a full air ride suspension system on all four corners. This allows him to drop it down low when he’s just cruising, or raise it up when those pesky speed bumps come along. On the inside of the car, Tony decided to make it as comfortable as possible while still maintaining that classic look. This thing is in essence a restomod, just not in a traditional sense. If this particular color of green looks familiar to you, that would probably mean that you’re a fan of the Dodge Viper. I say that because the color happens to be called Snake Skin Green, which was used on the 2010 Viper. And boy does it pop when out in the sun. We applaud Tony for many different reasons. Not only did he stay determined to create this badass Belvedere even though it took him almost 20 years to complete, but he also drives the car on a regular basis. He’s not afraid to use the car how it was meant to be used. He doesn’t even let the weather stop him. There’s even video footage of Tony taking the old girl out for a spin, in the snow! As you can imagine, trying to get traction when there’s that much power on tap is virtually impossible, but it sure looks fun.